We have an extraordinary panel of world-renowned experts who help set our product curriculum and guide our every move. Betsy Brown Braun, bestselling author of the just released, You’re Not the Boss of Me: Brat-Proofing your 4 to 12 Year Old Child (HarperCollins, 2010) and the award winning Just Tell Me What to Say: Sensible Tips and Scripts for Perplexed Parents (HarperCollins, 2008 – now in it’s 4th printing), is a child development and behavior specialist, parent educator and multiple birth parenting consultant. With 40 years of experience in public and private early childhood and elementary education, Betsy has directed and founded school programs, taught in both public and private schools, has been a school director and was the founding director of Wilshire Boulevard Temple’s Early Childhood Center. In 2001 Betsy founded Parenting Pathways, Inc. to provide guidance to parents seeking the skills and confidence needed to negotiate the often-challenging parenting pathway. Betsy’s parenting expertise has been featured in USA Today, The Wall Street Journal, The New York Times, U.S. News & World Report, Cookie, Family Circle, Nick Jr., Parents, Parenting, Pregnancy and Newborn, Toddler, Twins, and Woman’s Day, among other publications. 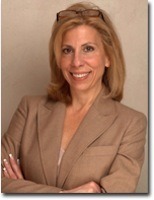 Mary Hartzell has over thirty years experience working with children, parents and teachers. She is the director of The First Presbyterian Nursery School, a nationally recognized early childhood program in Santa Monica, California. 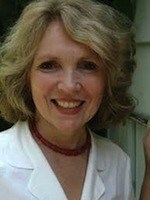 She is co-author of Parenting From the Inside Out and also has created a series of CDs on Parent/Child Relationships. Her parent education classes and her private consulting practice have benefited hundreds of families. For the past twenty years Mary has been a workshop presenter at national, state and local conferences of the National Association of the Education of Young Children. She has been a lecturer at U.C.L.A. extension and is adjunct faculty at Santa Monica Community College in their early childhood department. She also provides workshops, teacher education and consulting with schools throughout the United States. Mary has served as President of the North Bay Chapter of the Association for the Education of Young Children and Vice President of the Association of the Child Development Specialists. She was the recipient of the first Pediatric Aids Foundation’s “Hero’s Award” for her work with children and parents. Mary is the mother of three grown children and has four grandchildren. Dr. Faith Rogow is an award-winning speaker, theoretician, strategist, workshop leader, and curriculum designer with special interests in media literacy, early childhood education and diversity. In addition to her work as a consultant for many PBS children’s series, she was the founding president of the National Association for Media Literacy Education. Dr. Rogow helps us make sure that our scripts and shows are educationally fortified for children. From the auditory cues that let children know transitions are coming to the number of times lessons are repeated, she works with us from the brainstorm phase of each show to the finished product. Jennifer Waldburger, LCSW, is co-founder of Sleepy Planet, a company that offers collaborative consultation, education, parenting groups, counseling, and products to parents of children birth to five years. Addressing the big picture of family life – including sleep, feeding, child development, sibling issues, marriage and refining individual parenting philosophy and style – Sleepy Planet helps parents create a balanced, fulfilling family experience. Jennifer, who is co-creator of the book and DVD The Sleepeasy Solution, also maintains a private practice as a psychotherapist. She and Sleepy Planet have been featured in a wide variety of media, including Good Morning America, The Today Show, The New York Times, The Wall Street Journal, Parenting, and Parents. For more information, please visit www.sleepyplanet.com.